We bring forth our valued clients with a reliable range of High Quality Ropes that are fabricated utilizing good quality raw materials. Additionally, our range of products is known for immense strength, long lasting life and cost-effectiveness. Further, these High Quality Ropes are used in various industries for numerous applications. 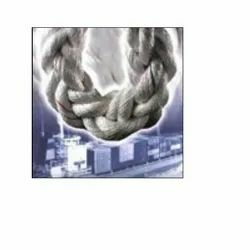 Our range of products ranges from 3 Strand Ropes, Garfil Slings - Garfil Rope Articles, Maxigold - Mooring Ropes, Garfil Helipad Nets - Garfil Rope Articles, Garfil Cargo Nets - Garfil Rope Articles, Garfil Gangway Gets - Garfil Rope Articles to SPM Hawsers. Also, we offer these products in various customizations as per client demand. We welcome queries from Tamil Nadu including Chennai, Madras, Coimbatore, Kanyakumari, Nilgiris, Tirupur, Vellore, etc. These are used for safety of personal while crossing gangways. These nets are generally fabricated in tucked type & can be fabricated as per customer's requirement. Essentially used to spread out over helipads on drilling rigs, oil well platforms etc. Prevent the helicopters from rolling & pitching off the helipads. These are square woven nets with hands at the corners for material handling applications. A speciality of garfil cargo nets is that these are hand made by traditionally skilled & experienced craftsmen. With the right combination of body & border ropes & mesh size, nets with various safe working loads can be designed. 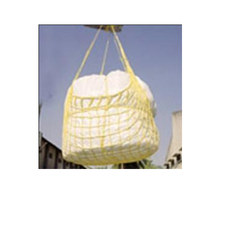 Our cargo nets meet the requirement of is-11521 standard. Minimum distortion as one strand of a rope cord goes over only One strand of transverse rope cord. These slings can be fabricated from 3mm strand rope in sizes from 12mm to 48mm. Slings can also be fabricated as per customers requirement. Maxigold by garware-wall ropes limited is the result of painstaking efforts by a team of highly skilled and dedicated professionals at our world-class in-house r&d facility. A rope with higher breaking resistance, even in wet conditions, low snap back and good shock absorption properties, maxigold is a definite value-add to your business. The biggest advantages of maxigold are its strength and its property of floatation. So whether you are in the shipping industry or in the offshore mining industry, switch to maxigold. And reap the benefits of technology put to smart use! A new development by garware-wall ropes limited. After lot of r&d efforts and number of experiments, the product is established, which carry all the advantages of maxiflex ropes with an improvement in breaking strength of 25%. Improved breaking strength by 25% as compared to maxiflex rope of same size. Maxima polyester combination rope having density lower than 1 hence floats on water. Low snap-back thus very safe for operation. No drop in breaking strength even in wet conditions. Specialty resin treated for longer life. Does not sink in water, hence does not get entangled in propeller shaft. Downsizing possible as breaking strength is higher by 25%. Longer life as impregnated with high performance resins. Looking for High Quality Ropes ?